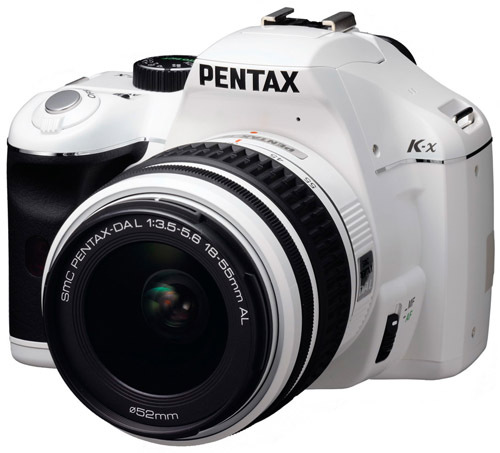 Following up on their K-7, Pentax has now come up with an entry-level K-x. While it doesn’t bring anything groundbreaking that wasn’t already seen on the K-7, it packs in many of the features seen on many competitors’ midrange model, and perhaps pending reviews on image quality and disregarding the overall Pentax system upgrade options, is probably the best choice out there currently for the beginning photographer/student. 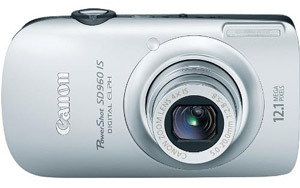 With the specs listed, this is a camera you’d expect in the high-hundreds, competing with the likes of Canon’s Rebel T1i or Nikon’s D5000/D90, yet it’s got a price closer to that of the entry-level Rebel XS or D3000. 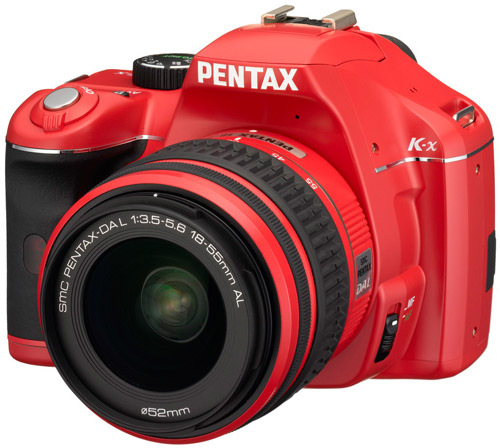 Interestingly enough, the Pentax K-x will come in a variety of colors, including an ultra-spiffy red (below), the space white shown above, and your ordinary black. 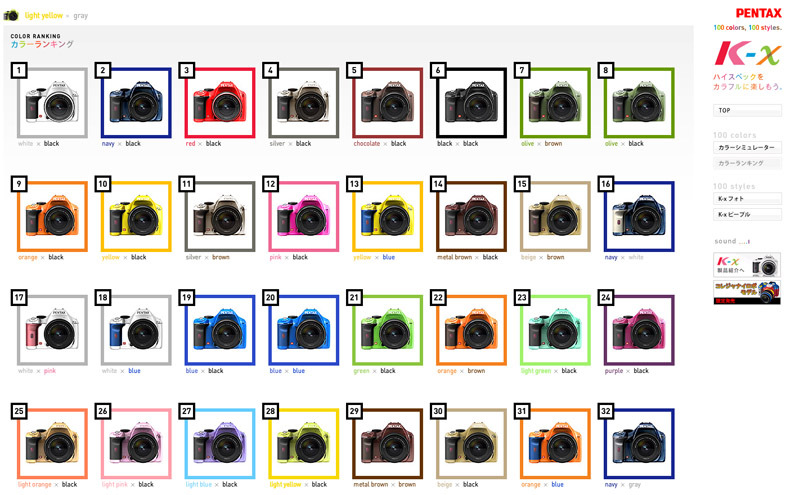 Interestingly enough, Pentax Japan features a site where you can come up with your own custom color scheme, and apparently order it as well, which personally is an insanely appealing prospect. 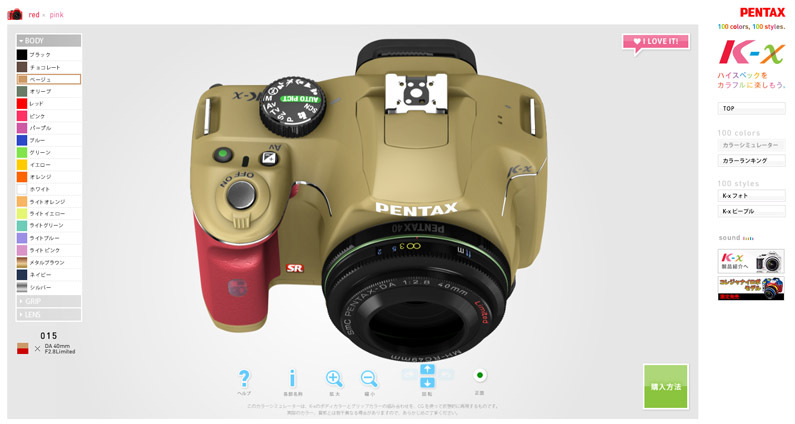 Pentax K-x custom design - design your own!